Stephen H. Leonhardt concentrates his practice on water law, related governmental and environmental issues, and litigation. 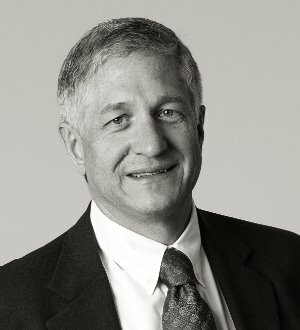 Mr. Leonhardt counsels clients on the establishment, protection, and modification of water rights throughout Colorado. His clients include lock water suppliers, industrial water users, land developers, individual landowners, non-profit organizations and a regional water conservancy district. He represents clients in judicial and administrative proceedings and transactions concerning rights to use both surface water and groundwater. He has represented clients in hundreds of cases in Colorado’s Water Courts, in several appeals in the Colorado Supreme Court, and in civil litigation involving ownership of water rights and operation of water systems. He is recognized in Best Lawyers in America for his work in water law. Mr. Leonhardt is admitted to practice in the State of Colorado, the United States District Court for the District of Colorado, and the United States Court of Appeals for the Tenth Circuit. Before joining Burns, Figa & Will, P.C., Mr. Leonhardt practiced law with Fairfield and Woods, P.C., from 1985 to 2002. Mr. Leonhardt is an active member of the Denver Bar Association, the Colorado Bar Association, and the American Bar Association. He is actively involved in the Colorado Water Congress, and has represented the CWC in several legal proceedings involving proposed amendments to the Colorado Constitution. He is also a member of the Christian Legal Society (having served on the national Board of Directors). Mr. Leonhardt served on the Ethics Committee of the Colorado Bar Association from 1988 to 1996. He is a frequent lecturer on legal ethics, ballot initiatives, and issues related to water law. Mr. Leonhardt was born in Santa Monica, California, and grew up in Colorado Springs, Colorado. He enjoys playing piano, hiking, fishing, travel, history and baseball.